Nintendo President Satoru Iwata says the company was forced to pull developers from other projects in order to finish the Wii U launch lineup on time. The Wii U launch probably hasn't gone quite as smoothly as Nintendo would have liked, to put it gently, and speaking at a recent financial briefing, Iwata acknowledged that the company had misjudged the needs of its launch lineup and had to scramble to have everything ready on time. That had the unfortunate but inevitable side effect of leading to delays elsewhere. "The reason for the delayed release of our first-party titles was the fact that completing the games released at the same time as the launch of Wii U required more development resources than expected, so some staff members from development teams working on other titles had to help complete them," he said. "In short, the development teams of Pikmin 3 and other future games were understaffed during that period." 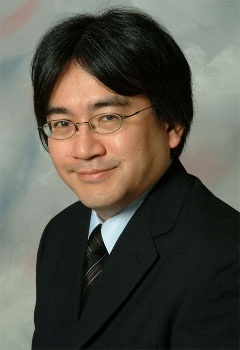 Nailing down what exactly a major game release will require in the way of development resources is a tricky business, Iwata explained, complicated by the demands of an increasingly hit-driven industry. Expectations continue to rise, and it's getting tough to make money in the conventional retail games market with anything less than a major international hit. Fortunately, Nintendo has a strategy. "If we create more hit games, the software development business can still be very profitable," he said. "All games break even if they sell millions of copies worldwide, so we will continue to do our best to develop games which have high sales potential." Tough to argue with that.